I love ampersands. Every time I see anything with an ampersand on it, I want it. Prints. YUP. Pillows- I have it. Jewelry- let me at it. I had some wire left over from the Knot Ring we made a while back, so when I saw the ampersand bracelet below my mind started working. Looks easy enough. Some wire, a chain. BOOM. We can do this! So gather up your supplies and get making. This is super easy and super quick. You can do it! Bend your write into the ampersand shape. As you remember when you made the Knot Ring, this gauge wire is SUPER easy to bend and mold, so this will be easier than you may think! Shape it to the right shape and size and cut any excess wire off the end with your wire cutter. Now, let me point out, the ampersand above is HUGE. 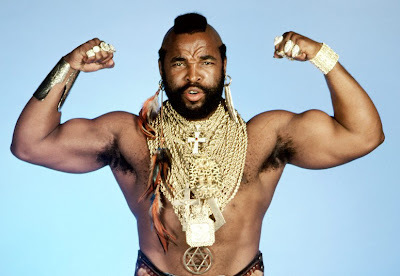 Like, WAY too big, unless you want to look like Mr. T, don't do this. Did I realize this before I finished? No. Should you make sure to make your amp the correct size? YES. About 1 inch tall is the size I used at the end, which required about 2.5-3 inches of wire. Attached one jump ring to the end of the chain you selected. Attach the jump ring to the ampersand and wrap the chain around your wrist to determine the length you will need. With your wire cutter, trim the chain to the proper length. Attached another jump ring to the other end. ... and cut the chain at that point. Using the remainder of your jump rings, attached the other end of the chain to your ampersand and the clasps to the ends of the chain. So there you have it, a cute Ampersand bracelet, and it was super easy! The holidays are coming up, I was thinking about giving this a try with another shape or maybe even a letter? This is a great gift for so many people, but I'm keeping this one for myself. What letter are you going to try? What else can we do with the copper wire we have? !